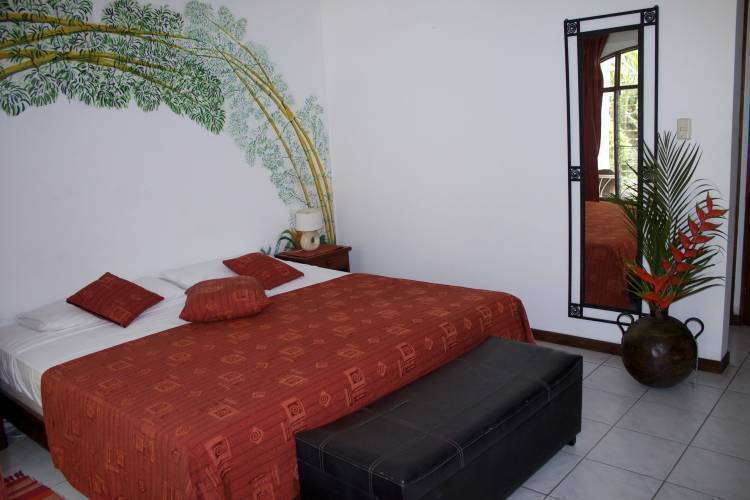 hotel villa romantica ... rooms were clean, the staff was helpful and friendly. the atmosphere was so relaxed we could have stayed another week. 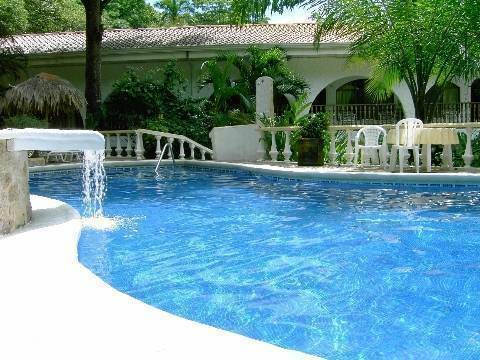 Villa Romantica is a family-owned hotel just 5 min away from the city centre of Quepos and just 2 min from the bus stop to the amazing national park Manuel Antonio. 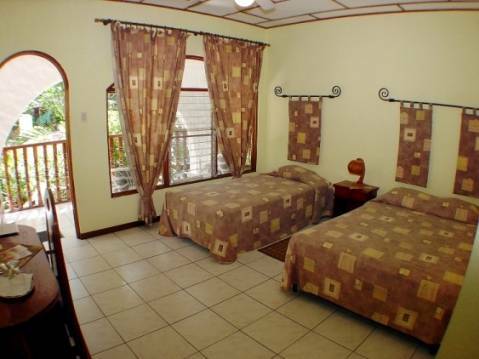 We offer cozy air-conditioned rooms with private bathroom, ceiling fan and TV. You can expect exceptional and warm service under German management. 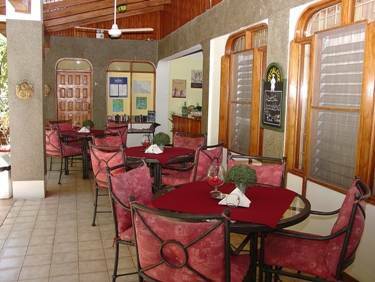 We will provide you with all information about activities and cuisine. Our swimming pool offers refreshment and “mono titis” on their visits, the true natural touch. Every morning you can enjoy our famous and rich breakfast buffet and if you like we even set up a BBQ for you. As speciality we offer tropical Cocktails and home-made snacks to satisfy your appetite. Through the newly constructed marina Pez Vela, Quepos will soon be an attraction point for all interested in water sports, fishing and yachting and Villa Romantica will offer the perfect little oasis to enjoy nights as well on land. 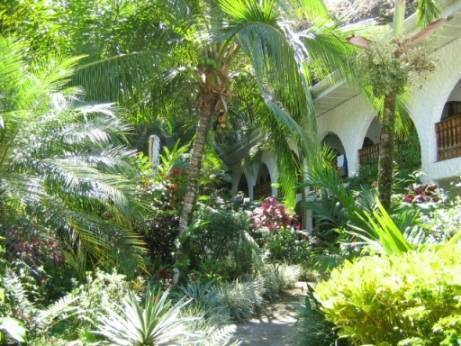 The hotel is located in Rancho Grande, outskirts of Quepos. A cancellation requires the written consent of the hotel. If cancellation is made within 5 days before arrival date, then the rate of 1 night will be charged for each room booked. Special conditions apply for the period of Eastern as well as for the period from 22.12 – 31.12 each year. If cancellation is made within 14 days before arrival date, then a price of one night for each reserved room will be charged to your credit card. The same conditions apply for no-shows. Entering Quepos, follow the road towards Manuel Antonio. The hotel is located at the end of the town on the right hand side.